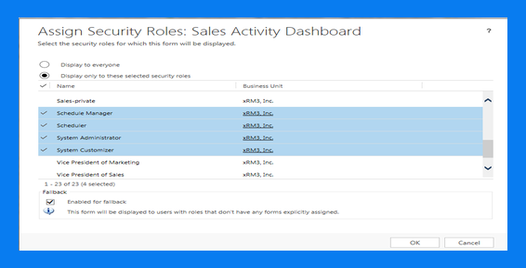 Forms and Dashboards are a central piece of Dynamics CRM 2013- and CRM 2013 security roles offer some awesome options to customize the user experience. We heard a lot in the past “can I lock down access to this particular Dashboard?” or “My users don’t need to see all of these in their list of Dashboards, can I remove some?” The answer was unfortunately a No. We’re now able to allow or restrict visibility to a Dashboard or Form based on Security. Let’s look at needs we can meet with this, and instructions on how to do this. The option to assign different Security Roles to different forms gives us a couple of benefits. One is that an organization is able to customize the user experience. A sales executive may find it cumbersome to see more administrative information on an Opportunity that doesn’t pertain to them, or different business units may have very different needs and fields relating to a Lead, or a Case may be handled so differently by departments that having the same form just doesn’t make sense. Answer? Forms! 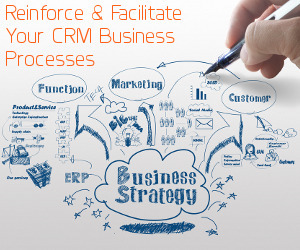 In the past (2011) CRM offered different forms, but users had to select their form by toggling in the upper left section. Now, users are still able to do this (if they are permitted security to multiple forms), but otherwise, will default to the one form they have access to (again, assuming they only have access to one). 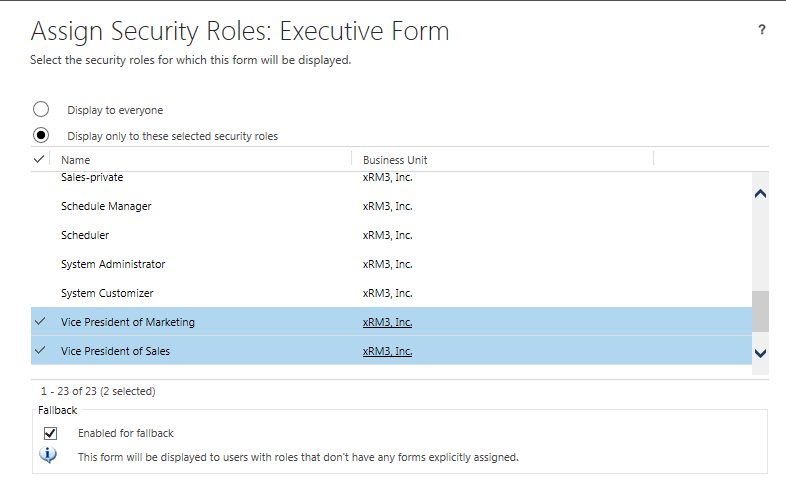 In this case, we must call out and remember that since this is based on a security role, you need Dynamics CRM 2013 Security Roles for each scenario in your system. The greatest solution this provided for me in customization recently met this need- “We need Executives to see a total sum of an Opportunity’s products, but not the individual line item price.” (this was part of their very strict security needs based on their business). Great. I can’t hide whole sections based on users. I can’t restrict visibility to Opportunity Products by security role. Luckily we can assign a different form to Executives than we give to other user roles. We created a form with the Opportunity Product grid exposed as normal, and one hidden. Then, to assign the proper security roles- we open up the forms in customization- go to Settings/ Customize the System, select your entity then Forms. We’re going to select the roles we want to display form for (and make sure they’re deselected for the other form). Note that there’s an option to “display to everyone”, as well. Set “OK” and you’re done! Security Role changes do not need to be published. **Soapbox: We recommend not editing the default security roles, but copying them to a new role (name something like ‘my organization name Vice President of Marketing’. That way if anything gets jumbled and stops working, you have something to reference. Stepping off soapbox. Very similar as above. Needs can range from “I just don’t want to see this in my list” to “we don’t want users to see this”. The main reason I hear for this request is that users aren’t going to use certain out of the box dashboards, but they can’t (and shouldn’t anyway) delete managed dashboards, plus you may want to preserve the original dashboards to reference. So, we navigate again to- Settings, Customize the System, and Dashboards. Then highlight the dashboard to enable or disable security roles for, and edit your options. This is a great way to “tidy up” your CRM for users, which helps users feel commitment to the system more and more. 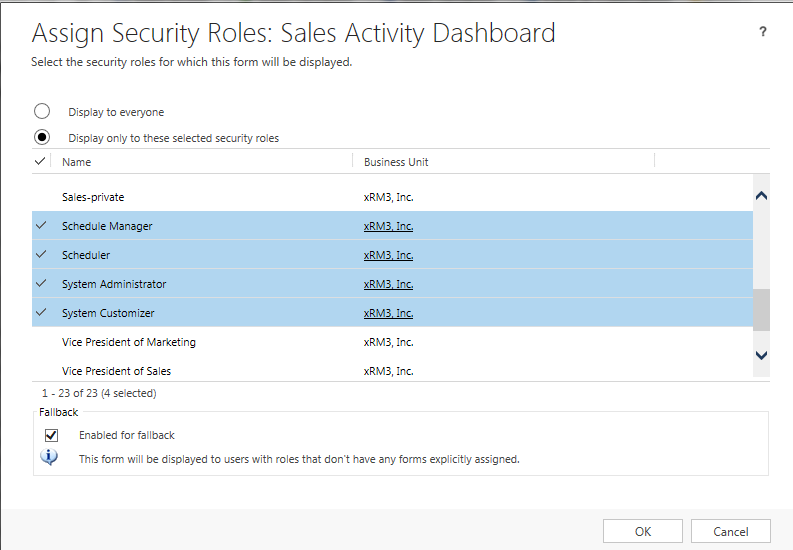 The easier you can make it, the better- and the CRM 2013 feature that allows us to display Forms and Dashboards to certain specific security roles helps users get the personalized experience they deserve.